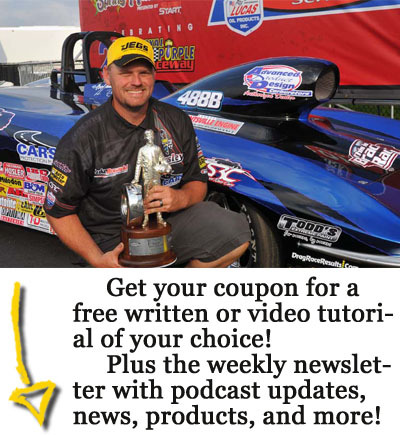 In today’s episode, Luke & Jed revisit last week’s discussion on safety and break down the past week’s major events: big dollar Footbrake action at the SFC, NHRA national event competition from Las Vegas, and the final Division 2 event from Rockingham. They’re joined by recent Las Vegas winner Marko Perivolaris and Luke brings everyone up to speed on NHRA championship possibilities with just 2 weeks remaining in the 2017 season. And of course, the duo discusses their NHRA pick ‘em contest with an emphasis on the recourse for the loser.